“Who”‘ is ready for fun? kids will love competing to find some treats with this adorable Owl pinata! designed to look just like cute baby Owl, this pinata will make a darling addition to your little one’s woodland themed birthday party. To get the fun started, start by filling this pinata up with candy, favors, and other woodland party supplies (pinata filler not included). then, hang this pinata securely from the ceiling, or from a sturdy Tree branch outside if your bash is taking place outdoors. Finally, let little ones take turns giving the pinata whack with a stick or a pinata Bat to try and break it open to send the goodies raining down. Not only great for party games, this pinata will also look as cute as can be perched on a table as a fun decoration. 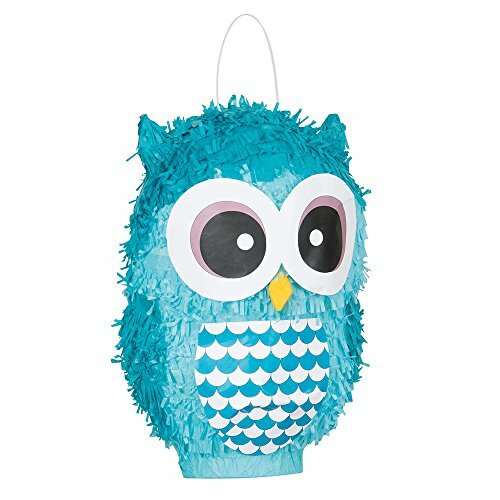 Be sure to pair this Owl pinata with the rest of our woodland themed party supplies to get everything you need for your big day, all in one place.